Yesterday (2019.02.07) the Magic Dice is started paying the daily dividends. 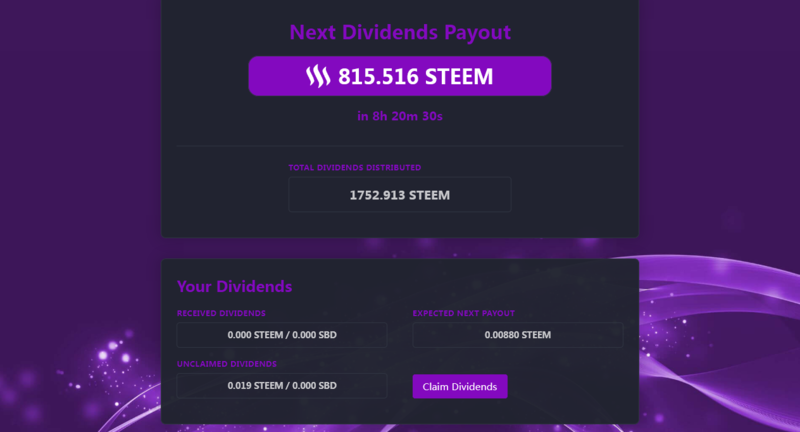 How much/many Steem have you received so far? Check https://magic-dice.com/dividends. You have to claim your dividends, just like you claim your author and curation rewards on Steem. I currently have 10 500 MAGIC tokens, and I received 0.019 STEEM so far. My expected next payout is 0.00880 STEEM. This can be good in long term. Image source: Screenshot (Magic Dice). Screenshot was taken on 2019.02.08, 14:10 CET. So, how much/many Steem have you received so far? 0, because I currently don't have MAGIC tokens. 0, because I currently have a very small amount of MAGIC tokens. 0.01 Steem or more, but less than 0.10 Steem. 0.10 Steem or more, but less than 1 Steem. 1 Steem or more, but less than 10 Steem.